In the most recent issue of the Friends of the Ordinariate newsletter, Anthony M.J.L. Delarue, who assists with the implementation of the liturgy and the training of servers at the Church of Our Lady of the Assumption and St. Gregory, Warwick Street, London, the central church of the Personal Ordinariate of Our Lady of Walsingham, presented the first of a two-part series on Anglican Patrimony. In this article Mr. Delarue situates the Ordinariate Use within the general liturgical context of the Catholic Church, stating that it is “to a great extent the codification of living liturgies” and that it is truly Anglican and truly Catholic although not directly Anglo-Catholic. He then points out, admittedly with his tongue in his cheek, that we have “spent a lifetime trying to be Roman” within the Anglican Church, and that now our mission is to be Anglican within the Roman Church – and this may be confusing for some of us. the orientation towards Rome, with translations of Roman liturgies, the use of Roman nomenclature (“Father”), accessories (the biretta) and practices (the way of doing shrines, processions, incensation, etc. ), although this was mainly “the gallicanised Rome of France rather than the purer Rome of the Eternal City”. Above all, Mr. Delarue singles out Percy Dearmer and The Parson’s Handbook as a “role-model of good practice, … both Anglican and Catholic”. “an encapsulation of that spirit of Englishness which … is the part most worthy of preservation of this Tradition”, a synthesis of Sarum use, the Tudor Prayer Book, the Anglican Canons, parliamentary legislation and post Counter-Reformatiuon liturgical codification. 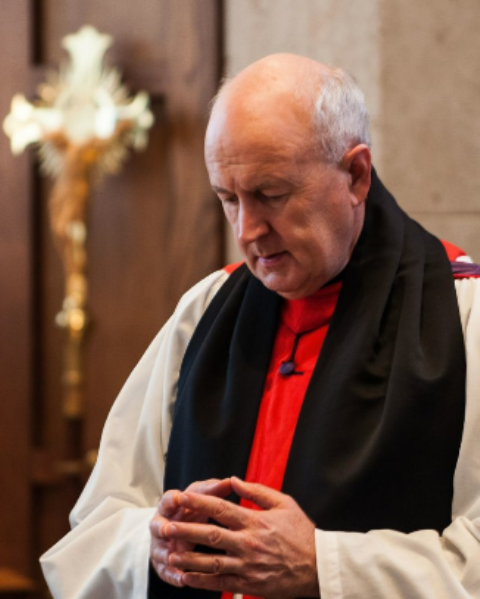 While I can perhaps understand why, for example, Anglo-Catholic bishops tend to wear Roman episcopal attire, although I must admit that I have never found it a good idea, there is much to be said for the Ordinariate using a specifically Anglican style of dress , just as the Oriental churches use the same attire as their Orthodox brethren. Very nice. 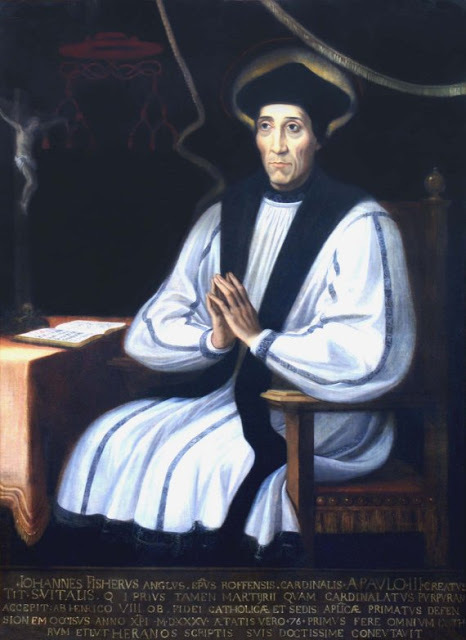 I wish the Ordinaries would dress more pre-Reformation in attire. I like the photos of Msgr. Steenson and the young priest. Who is he? Fr Charles Hough IV, rector of Our Lady of Walsingham. Mr Delarue was a parishioner at St Clement’s, King Sq when Michael Shier was the Vicar. And if Mr Murphy is in Alsace he can admire the vestments Mr Delarue and his partner created for the Anglican chaplaincy there. You wrote: While I can perhaps understand why, for example, Anglo-Catholic bishops tend to wear Roman episcopal attire, although I must admit that I have never found it a good idea, there is much to be said for the Ordinariate using a specifically Anglican style of dress , just as the Oriental churches use the same attire as their Orthodox brethren. There are pros and cons to this. On one side of the coin, the Anglican style of ecclesiastical vesture is certainly a significant element of the Anglican patrimony. On the other side of the coin, one would like there to be no doubt in the minds of Roman Catholics that ordinariate clergy and liturgy are fully Catholic, in full communion with the pope. 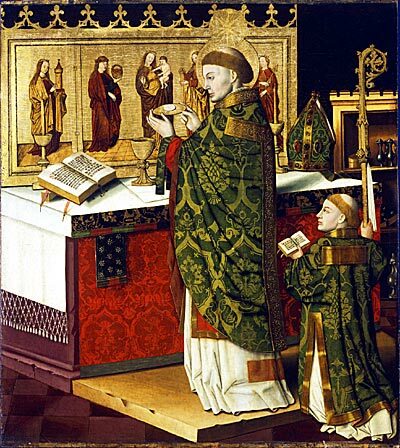 Perhaps the most effective practice would be for ordinariate clergy to use (1) the Roman style of clerical collar and clerical costume but (2) the style of liturgical vestments and choir dress that they, or their communities, used as Anglican Christians. I personally do not find contemporary episcopal streetwear—black suit and shirt with a pectoral cross (presumably) tucked into some inner pocket, with only a chain visible— makes much of a positive statement to members of any denomination. I must agree that putting Jesus into an inside pocket in the way of a pocket watch appears at the very least casual and at the worst disrespectful. A chain is a very minimal witness. But a modest black stock is preferable to a scarlet stock for cardinals, for example, or the violet stock of Anglican bishops. Although a pope travelling in a black suit with a white (or even black) stock and visible cross does have something tempting about it. Full disclosure: I’m a Latin-rite cradle Catholic who wishes the ordinariate clergy would wear more traditionally Anglican attire; at least for formal events. I think the analogy of eastern-rite Catholic clergy using the same regalia as the Orthodox is quite valid. Cool to see a fully in-union bishop in rochet, chimere, & cuffs, no? But you include a picture of Monsignor Steen to illustrate something like this. You should know he’s simply wearing the academic habit of an Oxford DPhil. An imam could wear this. 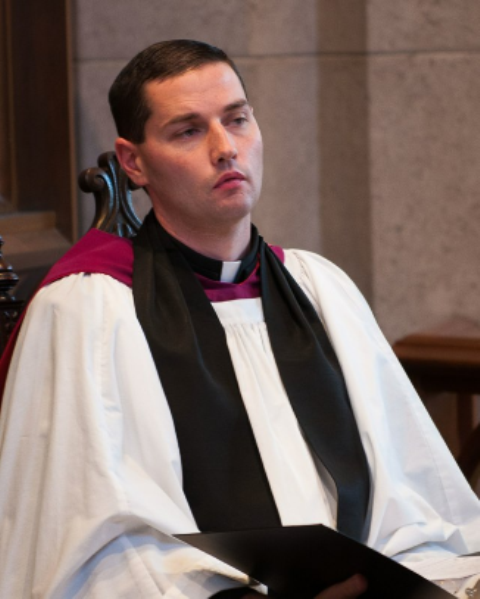 Since he is in church, he has a surplice under it, and scarf/tippet over it; that’s all. At Graduation, he’d have a black gimp gown in place of it.